Only 5 days into this year the first major thing happened. 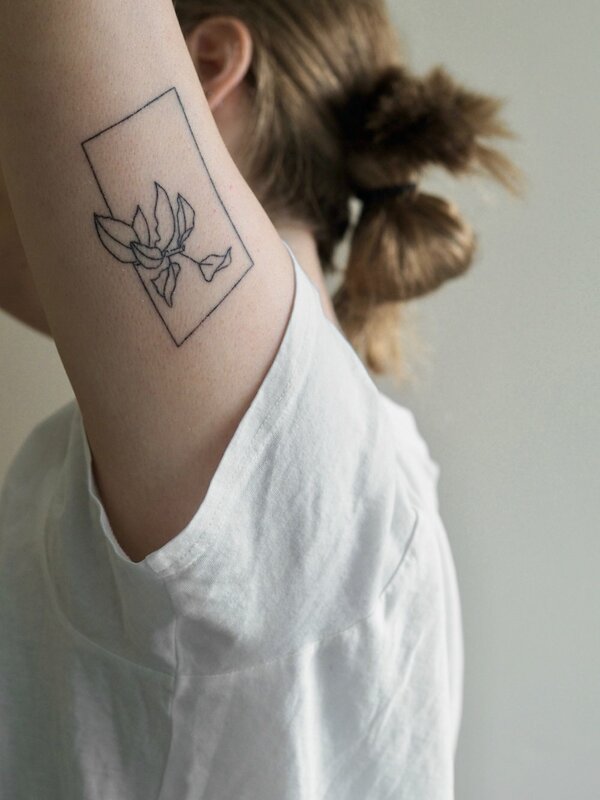 I have been following the beautiful artist @qualasiki on instagram for a while and have fallen in love with her drawings and hand poke tattoos. I had told her whenever she would come to either Copenhagen or London she should hit me up so I could get one of her lines on me and only after 3 months she travelled all the way from Toronto to Iceland and then to Copenhagen! We ended up having a 3-hour tattoo session on the living room floor, surrounded by tea, pillows, duvets and good music. It was almost magical! We were talking non-stop and she ended up persuading me to start hand-poking myself and gave me a small tattoo kit when she left. When Matt came home from work I told him about it and that we could only use the ink today otherwise it would dry out. After hours of thinking and a fair few cocktails I ended up tattooing myself to see if I could, and after a happy outcome, Matt and I started drawing his tattoo. with this being Matt's first tattoo he kept changing his mind, but I did persuade him in the end. So at 2.30am, we both had one more tattoo. I know you aren’t supposed to have alcohol in your blood, but this was an exception and it turned out really really well! 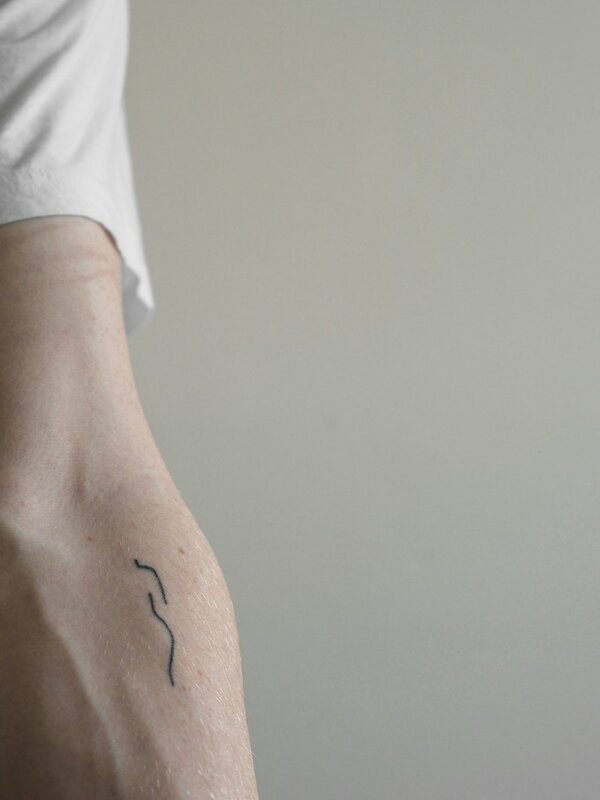 This tattoo has been on my mind for a long time, both the placement as well as the motive. The plant that grows out of the frame symbolises and reminds me of growing out of the box I have, others have and society has put me in. The placement is very eye-catching and also on a place on my arm that I don’t particularly like. So it also makes me love my arms more since it is beautifully decorated with this now! The two lines were the first thing that came to my mind when I needed to practice before tattooing Matt. 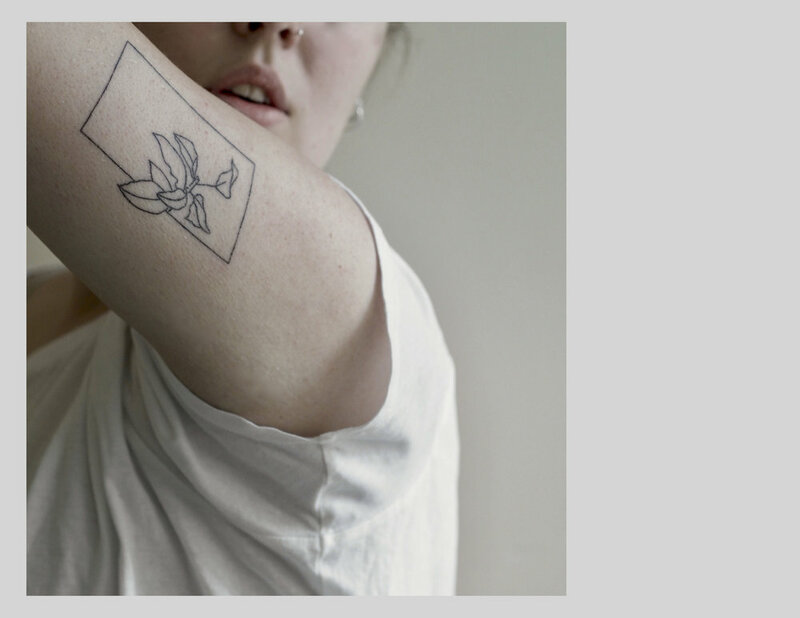 I like simplicity in everything, also my tattoos. Lines are perfectly simple. Matt’s tattoo is an abstract drawing of the side of a woman, he wanted something not too in your face and very simple. It was so nice to have this bonding experience doing something for the first time and giving Matt his first tattoo as well.